Dimensions: Diameter 36" x Height 42"
This 2-level rack works with all styles of Olympic plates and can fit in a corner or up against a wall, as both levels fully rotate 360 degrees. This is absolutely the coolest Olympic plate rack anywhere. Holds up to 1,000 pounds of Olympic weights. 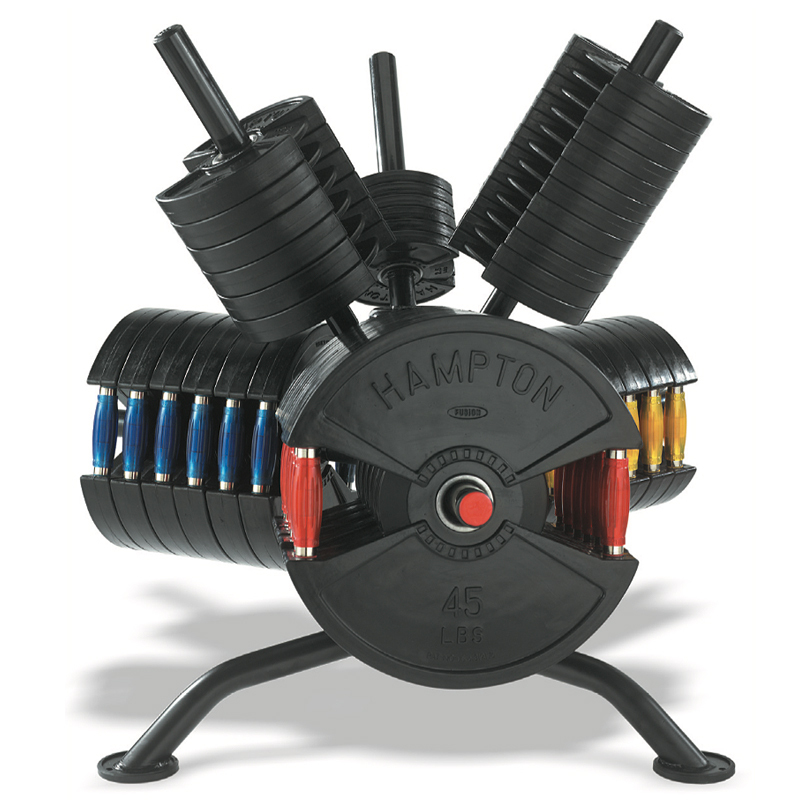 Whether it’s our iron, rubber, urethane or rubber bumper power plates, this workhorse of a rack will do the job!